GMC introduced the Yukon with the six-speed transmission for all 2014 models. This gearbox is used in the SLE, SLT and Denali editions built in the U.S. Manufacturing still takes place in Michigan for these gearboxes and these are fully compatible with the V8 motors found in modern day GM SUVs. Got Transmissions provides ultra low price points for all 2014 GMC Yukon transmission for sale inventory sold offline or online. There are three aspects that a person buying GMC Yukon gearboxes should know. Because of the use of different engines, there are different gearboxes in use depending on the trim level. The AWD, 2WD and 4WD transmissions are paired differently with the 5.3 Vortec and 6.2 Vortec V8 motors. This is due to the 21 miles per gallon fuel ratio and longitudinal design of the six-speed editions. A person starting out researching the various gearboxes in GMC and Chevy vehicles will find that technology changes every so often. The 4L60, 4L80 and 4L85 used in past years of the Yukon were not selected for the 2014 editions. Because of the 5400 RPM red line limit of the V8 engines, the six-speed 6L80 was selected as the go-to model by GM. This gearbox is the same edition used earlier in the HD Silverado, Hummer 2, Corvette, Cadillac XLR and Escalade through the mid 2000s. When making a 6L80 transmission swap, a person should know the RPO code for the new six-speed editions. There are six planetary gears and the official code is RPO MYC. This unit comes complete with a four element torque converter which is now standard on large vehicles in the GM family. The case is die cast aluminum instead of cast iron like some earlier transmission units. GM recommends Dexron V1 transmission fluid when a replacement unit is installed in the 2014 GMC Yukon Denali, SLE or SLT SUVs. A price is always a basic starting point when shopping for any gearbox. Because the technology in the 6L80 transmission is newer, a person can find a higher price listed with most replacement models. The secondary market will always fluctuate in both supply and pricing when research is conducted on the Internet. Got Transmissions has selected new partners to fulfill any order that is placed to preserve the sale prices that are marketed to any retail automatic transmission buyer. The used 6L80 transmissions for sale through this resource are all built inside the U.S. This is important to know to prove to any person seeking OEM condition parts that what is sold is genuine. The transmissions were built in Ypsilanti, Michigan for units produced before 2008 and in Toledo, Ohio for all newer models. GM shares the production duties in two different U.S. states to produce enough supply to meet demand of parts purchasers. GotTransmissions.com provides the resources and prices needed to help consumers fulfill any sales order. The entire quotation system built into this website takes the place of general customer service from other retailers selling used GMC transmissions. The preowned inventory partners have supplied actual pricing in the quotation system that is accessible at the top of this page. This starts the process of transmission buying for most consumers. Any person ready to buy but has questions can call by phone. 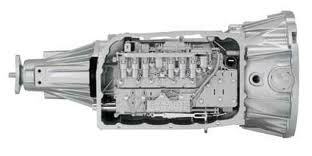 A staff of gearbox experts with knowledge of the 2014 6L80 transmission technology answer all question. Prices are always quoted and VIN matching is available to ensure 5.3 and 6.2 engine compatibility. The affordable prices and free shipping for transmissions has kept Got Transmissions at the top of the Internet parts supplier industry.